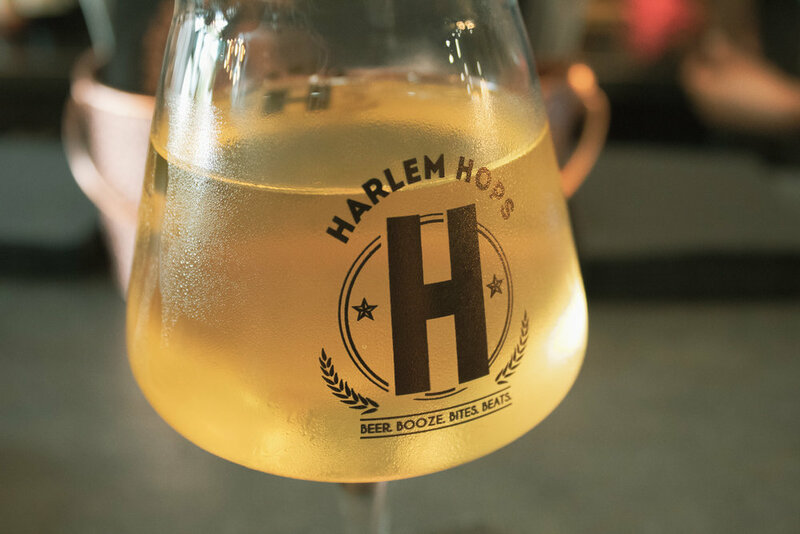 Harlem Hops is disrupting the beer scene by not only serving up a unique rotating craft beer selection but also by being the first Black-owned beer bar in Harlem. With so many choices and a very knowledgeable staff, this is the perfect place for beginning beer drinkers and those who consider themselves a brew connoisseur. While their focus is on beer their bites menu includes things that compliment your beverage such as Bavarian pretzel, sausages served on pretzel buns, and Guma pies. With so many options for beer, I had no idea where to start. I am typically a wheat beer kind of lady and Jack’s Abby's Blood Orange Wheat was recommended by the staff. It was a light and refreshing beer that is perfect for the current summer temps and you can think of it as Blue Moon's sophisticated cousin. On my second round, I decided to try one of their canned beer options and ordered Hell or High Watermelon wheat beer which was another great choice. If you love a good cider then I would recommend Orchard Hill's Cider because isn't too sweet and a tad bit on the dry side. Another option they have on tap that is rather unique is Wartega's Catawampus cream ale that has green tea and a hit of nutmeg. Harlem Hops set the mood with a perfect selection of music, copper accents, a spacious bar, and a back patio. This bar has been receiving a lot of press as the three owners are all alumni of HBCUs and as I mentioned earlier the first Black-owned beer establishment in Harlem. #BlackExcellence. Be sure to drop into Harlem Hops and support this new business.